It’s not a huge difference but it’s an interesting one. 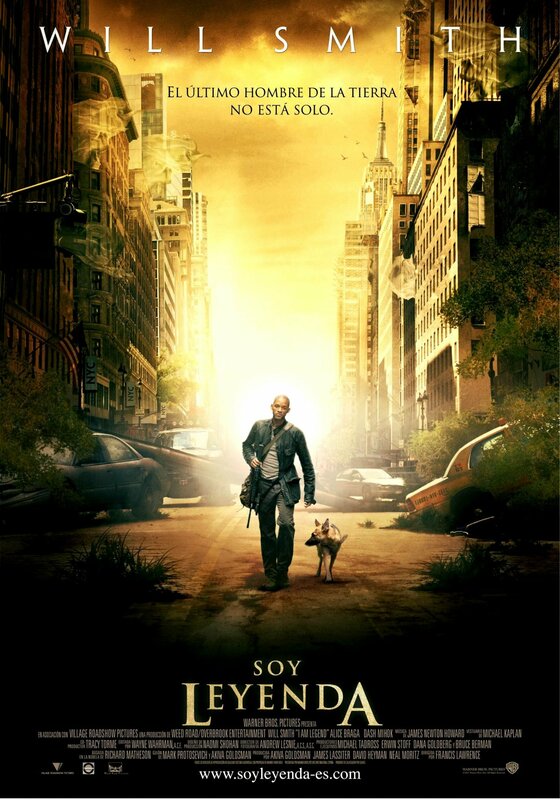 The Spanish poster for I Am Legend has a very similar design to the main domestic poster, but instead of having Will Smith and the dog walking with the destroyed Brooklyn Bridge on the background we have them walking with a fairly generic looking New York street on the background. 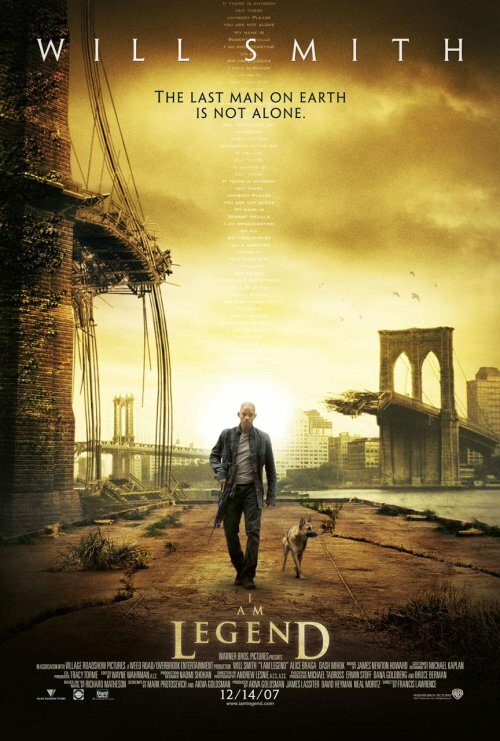 The I Am legend marketing has been unusually careful to cater to international audiences. You’ll probably remember the banners depicting several cities from around the world destroyed by the plague. So this could be another example of that, with the bridge being substituted because it isn’t such a well known landmark in Spain. Then again I get the feeling that, due to years and years of movies depicting it, the bridge is pretty much known all over, so perhaps they just thought the city background made for a better image. If that was the case, I disagree with them. The domestic poster strikes me as being more impactful, and a more harmonious image to boot. You’re right in that the more generic NYC street might have broader appeal. But the print/outdoor campaign for the movie here in the U.S. featured those and a number of other images of Smith in the same pose against different NYC backgrounds. So I don’t think there’s as much going on as you might suspect. Just a different image selected from those already created and available. Yeah, you’re probably right. And I have no way of knowing if this is actually the main poster they are using in Spain or if they also used several variations or what. I’m mostly just using this as a jump off point to muse about the type of choices that an international campaign for a movie like this has to make. And dude, is your site ever going back on the air? It’s sorely missed. I like the poster with the Brooklyn Bridge best as well. But is it just me or is there really a column of small letters or words is the middle of the Brooklyn Bridge-poster? Does anybody know what it might be? By the way, why didn’t they make a poster with a plague-ridden Amsterdam?